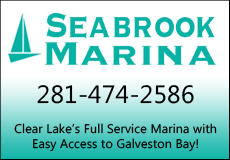 Autumn, or Fall Fishing, as we more frequently call it, is one of the best times of the year to fish the Galveston Bay Complex, especially for flounder. In recent years, we have discussed the changing scene of fall fishing, noting how the timing has been altered. We likely all agree that we have seen a delay before the action gets underway; however, we have not discussed how flounder fishing has changed as a result. 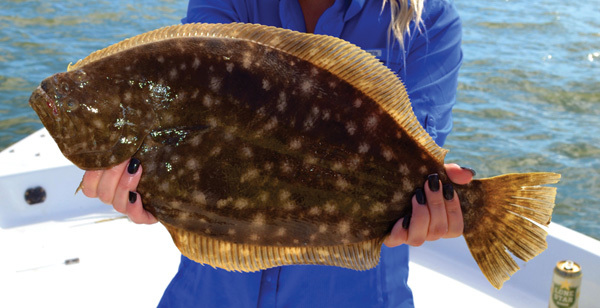 Hopefully some pointers will help increase your harvests of this popular fall flatfish. Fifty years ago, the first cold front of the season usually arrived in mid-September. Following it, fish would start changing their patterns, as an awareness took place that winter was not far behind. By October, the water temperature in the bays had dropped and that, combined with the shorter periods of sunlight, gave way to the action. Flounder were noticeably more active and were beginning to make their way toward the passes and outlets into the Gulf of Mexico. Colder weather brings out the big girls. At some point between Thanksgiving and mid-December the sows are on their way and that is time for trophy flounder catches. Today, much has changed due to the delay in the arrival of cooler temperatures. 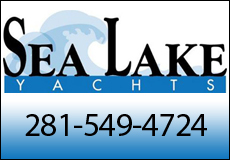 During the era we have been discussing, the water temperatures were below 70 degrees by mid-October and the first freeze of the year, albeit a light one, usually took place by late October. 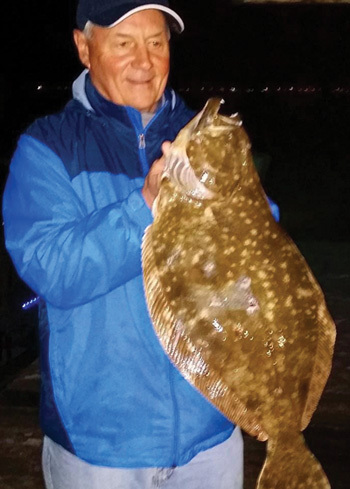 The fall flounder run was well underway in October and old-timers looked at the peak of the annual run as taking place between the Full Moons of October and November. Now that same group looks to the same lunar phase between November and December. A good example of how this delay has been recognized was when the Texas Parks and Wildlife Department imposed special flounder regulations during November, as that was the month when the annual migration reached its peak and started winding down. Not long ago the TPWD extended the November bag limit of two fish per person to mid-December. When the regulation was enacted all signs pointed to November as the time for the peak and the winding down. Now, it is well into December before the migration shows signs of running its course. 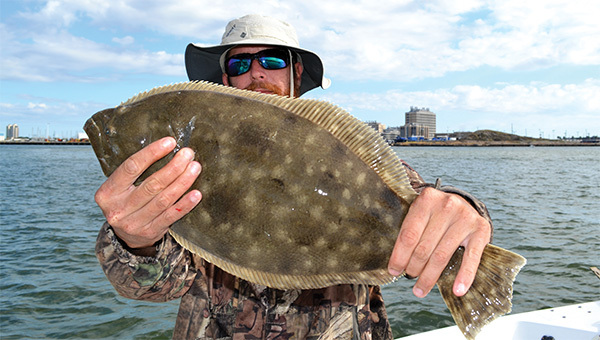 Today, the flounder run has its peaks and valleys; however, one thing that anglers are noticing is that many of the flatfish do not make the migration and remain in the bays. The reason for this is that due to the warmer than normal conditions, bait still hangs around and with it a certain number of flounder. 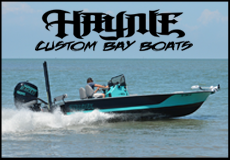 During the run, there will be a few major cold fronts that empty the marshes and back bays. When this occurs, flounder will head to deeper waters and many take the signal to move on to the Gulf. In recent years, the after effects of the fronts do not last long and many of the fish, including bait, will head back to the marshes and back bays. Savvy anglers have observed this and take advantage of the situation. Flounder catches will increase as we get closer to the end of the year. 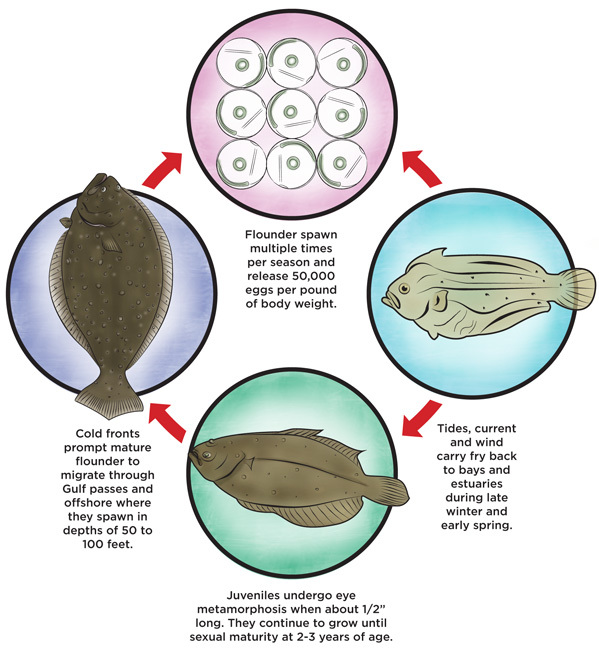 By mid-December, the majority of flounder is on its way to the Gulf or has arrived there. Still a few stragglers will remain. Prior to 2010 I had never caught a flounder during January or February. In January that year a friend and I were drifting for trout in West Bay tossing soft plastics when I landed a 16-inch flounder. What a surprise it was. Today, successful anglers plan their trips and hit the water just before a “Blue Norther” hits or several days afterwards. Toward the end of the run, the big sows finally start their journey and that is usually after a series of major cold fronts empties the marshes and drops the water temperatures into the upper 40s. It usually takes several of these “Blue Northers” to encourage the majority of the flounder to head to the Gulf. While live shrimp, mud minnows and fingerling mullet are three of the top natural baits for flounder when the big girls are moving, live mullet up to six inches in length is the resounding preference. 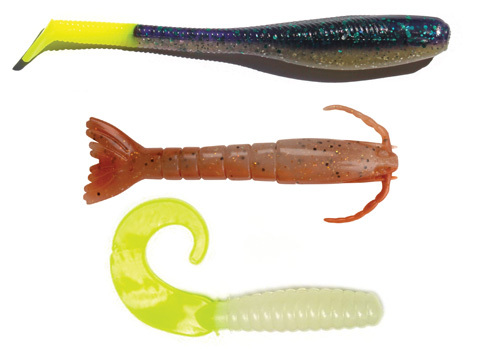 Berkley Gulps, Flounder Pounders, Chicken Boys and a variety of other soft plastics also work well and give the natural baits serious competition. Garrett Blumenshine with a 20-inch flounder he caught using a Berkley Gulp! Pearl White Shrimp. 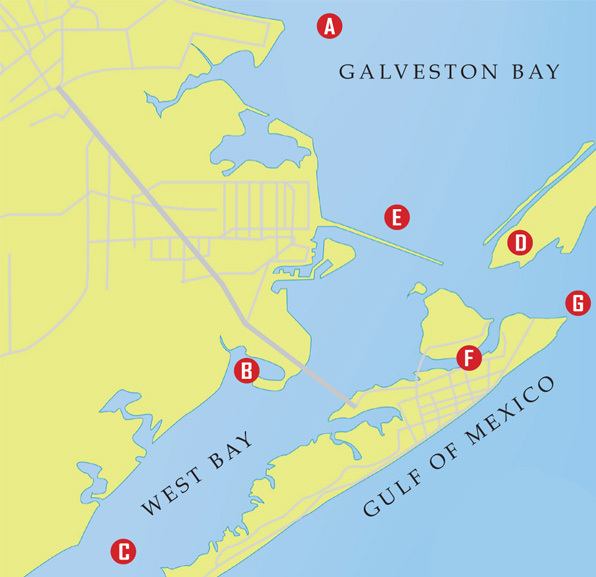 Anglers around the Galveston Bay Complex have reported excellent catches of flounder this past winter and the action is getting better as the water warms and days get longer. This is a refreshing change from not too long ago when sportsmen were concerned about the drop off in catches. 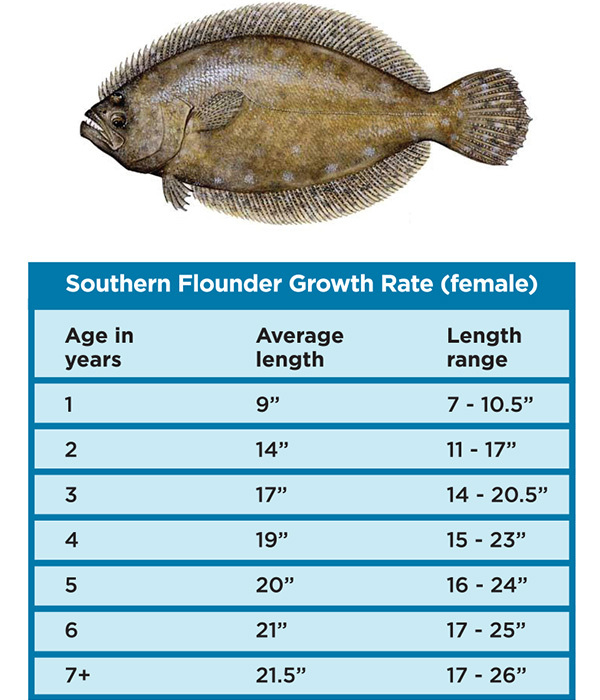 Prior to the turn of the century, our flounder stocks were showing serious decline in both numbers and quality of fish. Liberal bag limits and no season restrictions were taking their toll on one of the most popular saltwater fish. A bold and unpopular move on the part of the Texas Parks and Wildlife Department several years ago has proven to be just what the stocks of flounder needed. Before we take a look at the changes that took place, let’s go back and see what was happening before the enactment. 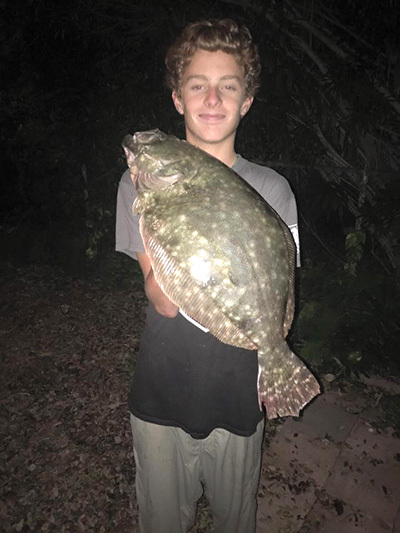 Max Conner, age 14, of Galveston with a chunky flounder. Flounder have always been one of the top choices of a large number of fishermen all along the Gulf Coast. Flounder gigging especially was a popular way to bring good quantities of meat to the table in a short time span. Prior to the changes, anglers could go out gigging after dark and take a day’s limit of 10 flounder before midnight and afterwards take another day’s limit of 10 as the possession limit was a two-day bag limit. While mostly flounder giggers were the ones to reap the benefit of the liberal daily limits, pole and line fishermen would at times find concentrations of flounder stacked up around passes and also take advantage of the quantities. Arguably, the most popular and productive time to fish for flounder, whether by conventional rod and reel or by gigging, was during the annual migration in the fall. During this time the flat fish stack up in huge numbers along the pathways to the Gulf of Mexico and are easy targets. This is when I first noticed a problem. 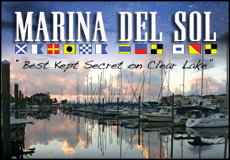 Prior to the 1990’s, quality flounder would be easy to catch at my favorite spots along the Galveston Ship Channel, but toward the end of the 80’s and early 90’s it became more difficult for the average angler to catch more than just a few flounder. During that era the size was also noticeably smaller as well. Sportsmen were becoming well aware of the problem and so was the staff at the Texas Parks and Wildlife Department. As mentioned earlier, in a bold move the TPWD recommended an overhaul of the regulations. The changes, which were not popular with a large number of anglers, included reducing the of anglers, included reducing the daily bag limit from 10 to five and eliminating the two-day possession limit. Flounder gigging would be prohibited during the month of November and at the same time the daily bag limit was further reduced to two per person during November. Fortunately for all anglers, the original thought of eliminating flounder fishing all together during November was compromised with the two-fish limits. The only size and bag limit regulation that remained was the 14-inch minimum size. So, after everyone cooled down following such as dramatic change, how is this all turning out? First, during November, most fishermen, regardless of experience level, are now able to go out and take two flounder. Prior to the changes, there were a lot of empty stringers as the fish were scattered. Now, let’s discuss what I consider the most noticeable effects. This past winter, there were more flounder caught during the winter months than I can ever recall. Some anglers say it is because we had a warm winter and the fish never migrated. We have had a number of warm winters in the recent past and we did not see this take place. 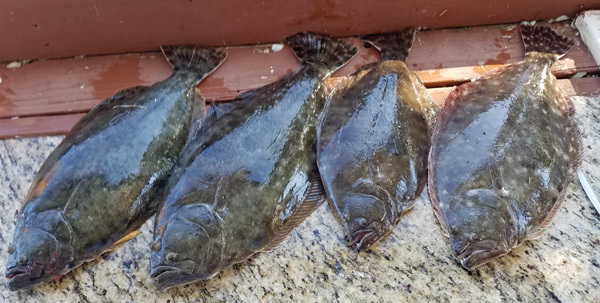 This spring we are getting reports from both the flounder gigging sportsmen and rod and reel anglers of large numbers of quality flounder in the bays. Occasionally reports coming in to the Galveston Daily News during March and April resembled November reports from the flounder run. All I can say is that it points to the results of the overhaul in flounder regulations several years ago. Thanks to the Texas Parks and Wildlife Department for making the move!